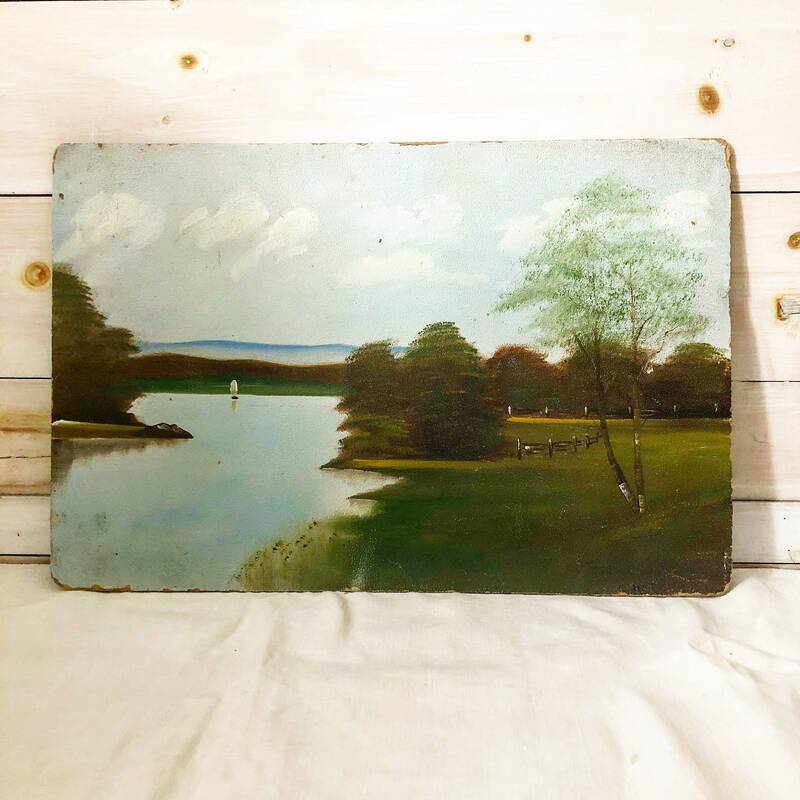 Vintage lake landscape painting on board. 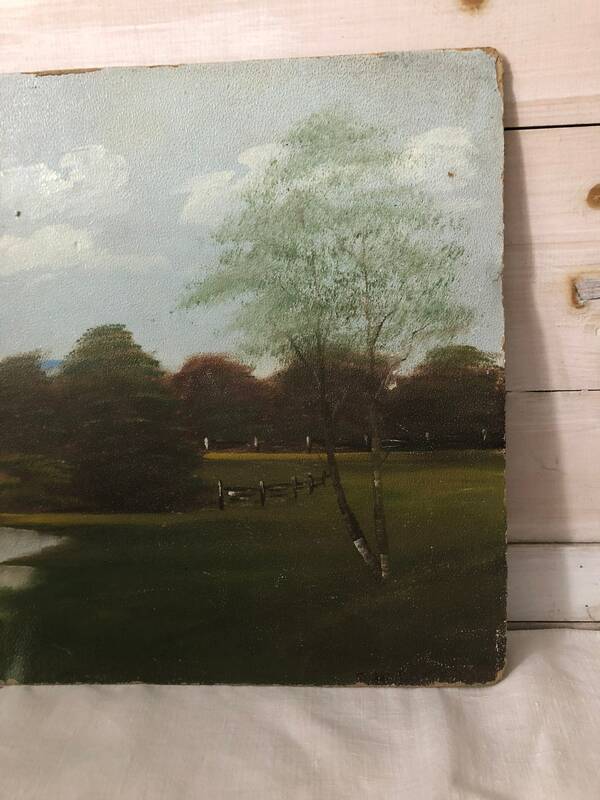 Small, faded signature in lower right hand corner. It has a nice crackle texture to it. 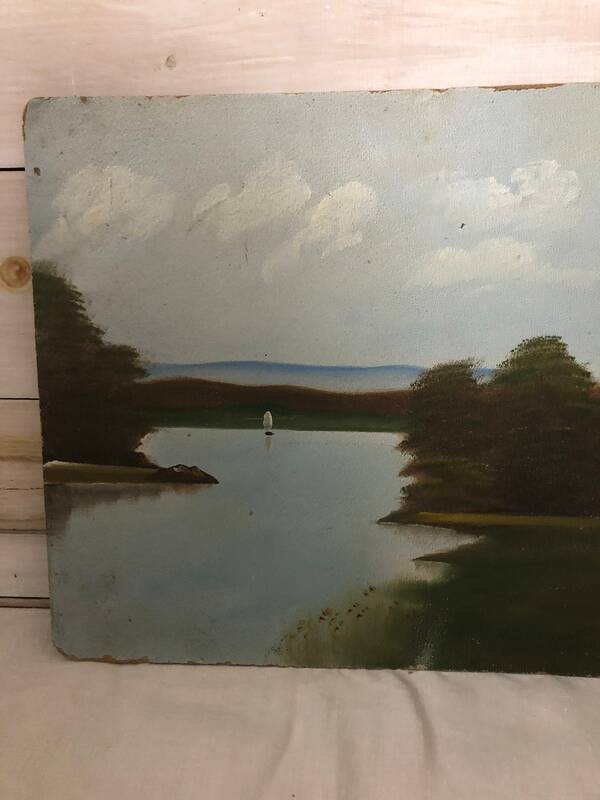 Measures 18” wide by 12” tall.